Lately, the pet food industry has suffered from several recalls, including some that impacted well-known brands. Problems have included salmonella, pentobarbital, listeria, and even pieces of metal or plastic that have been found in packaged foods. 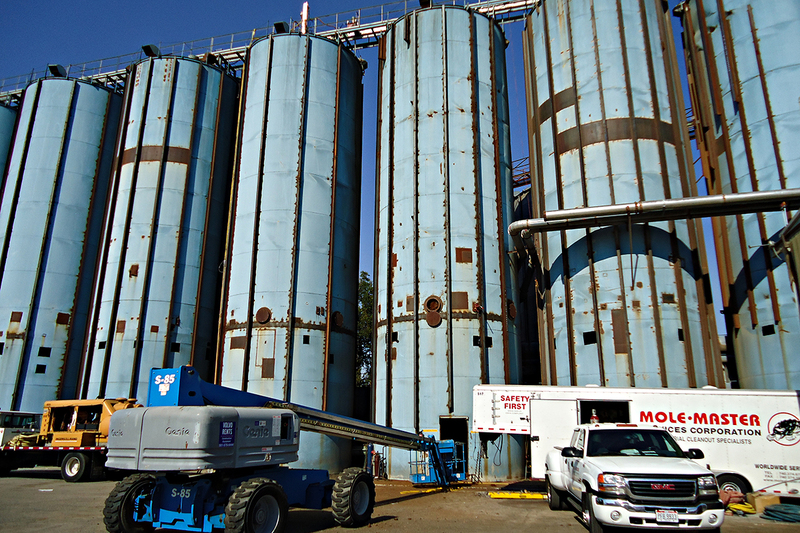 One of the most effective ways to avoid serious problems like this is to make sure all storage facilities and silos are properly maintained and cleaned professionally on a very regular basis. 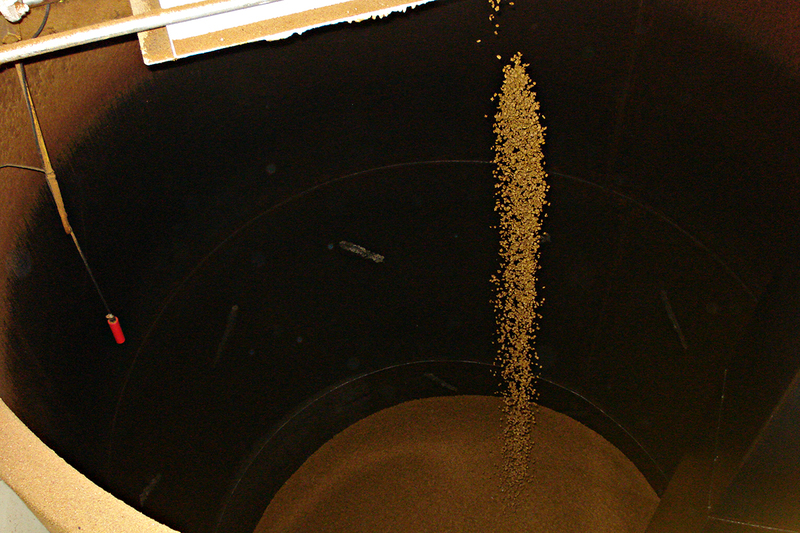 Along with the dangers of contamination that stored pet food can attract, failing to clean silos and bins regularly can result in build-up that can slow down or even stop productivity. Bridged, arched, or ratholed materials can start as seemingly insignificant issues, but left unattended, the build-ups can increase in size and hardness and become serious issues. Keep the pet food in your facility 100% safe. 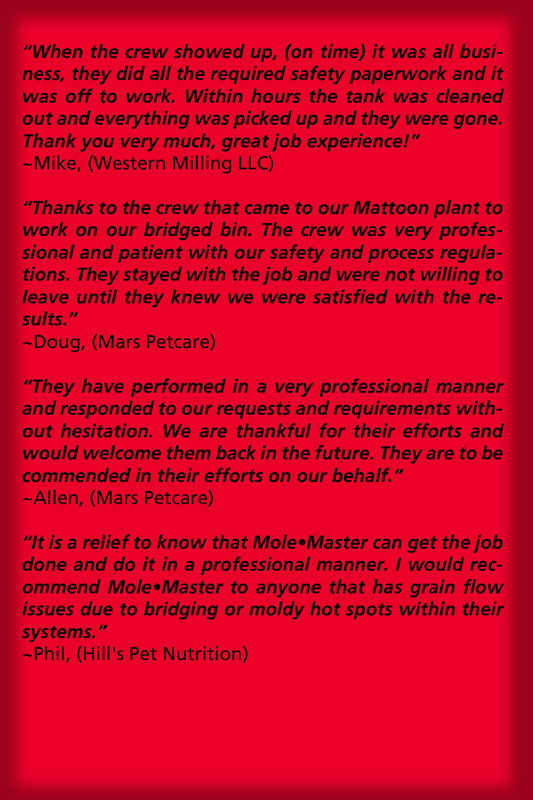 Call Mole•Master for regular silo inspections. 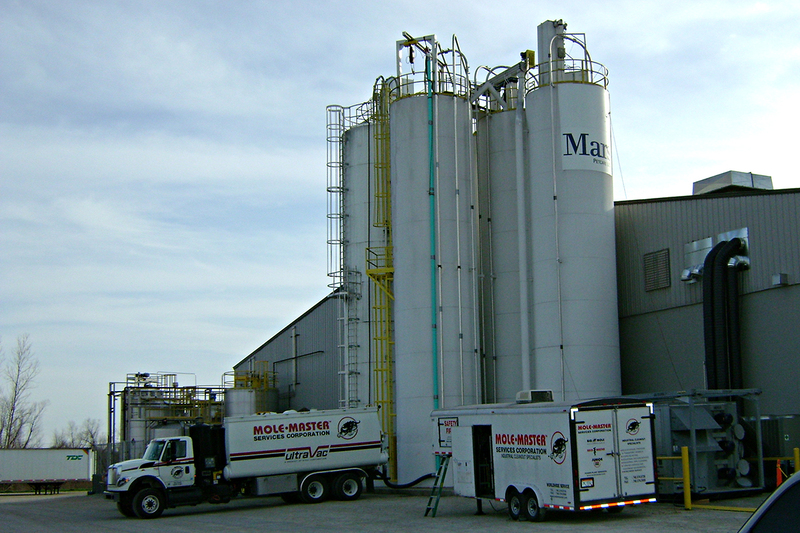 Mole•Master offers the engineered Junior™ 360º Whip Machine or the Arch•Master™ Portable Auger System to clean out your silos, bins, or other storage vessels. Both the Junior and the Arch•Master are available to purchase, rent, or to contract as a turnkey service. 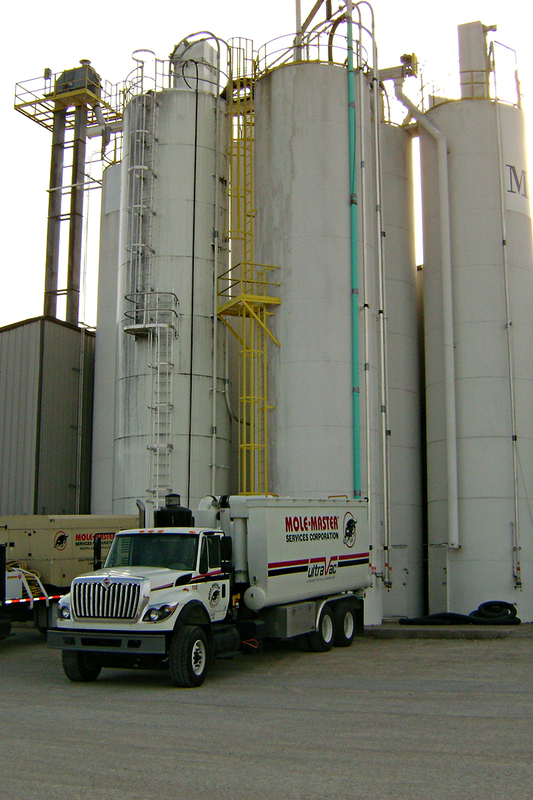 Contact us today to learn more about our silo cleaning equipment programs.